These will be discussed together because most people obtain a power of attorney and a living will at the same time they get a will done. A power of attorney document appoints someone to make decisions for you, including medical and financial decisions. These can be general, meaning the named attorney has broad powers, or specific, such as only certain medical decisions. 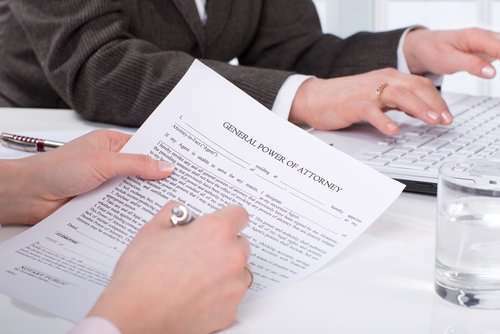 You can direct that the power of attorney will only become effective if in the event of your incapacitation, which is technically called a “springing” power of attorney. A power of attorney can, and should, be made durable, which means it will survive your incapacitation. Why should someone get a power of attorney? It is especially helpful in the event of an incapacitation, such as a coma, so that the named attorney can immediately begin making medical decisions for you and have access to your financials, like bank accounts. Otherwise, you may have to proceed to court to have a conservator appointed to make these decisions, which can be very expensive and time consuming. A living will is a directive to remove any life support in the unfortunate circumstance that you become dependent upon it. It can be drafted to direct that your treating physician as well as a concurring physician must opine that there is no chance of recovery before life support will be removed. With a living will in place, you would take the decision to remove life support away from your named attorney in the power of attorney or anyone else because you are already making that decision. No one wants to leave a loved one, or anyone, with the burden of having to make such a crucial and difficult decision.